I am sharing another Christmas card today. 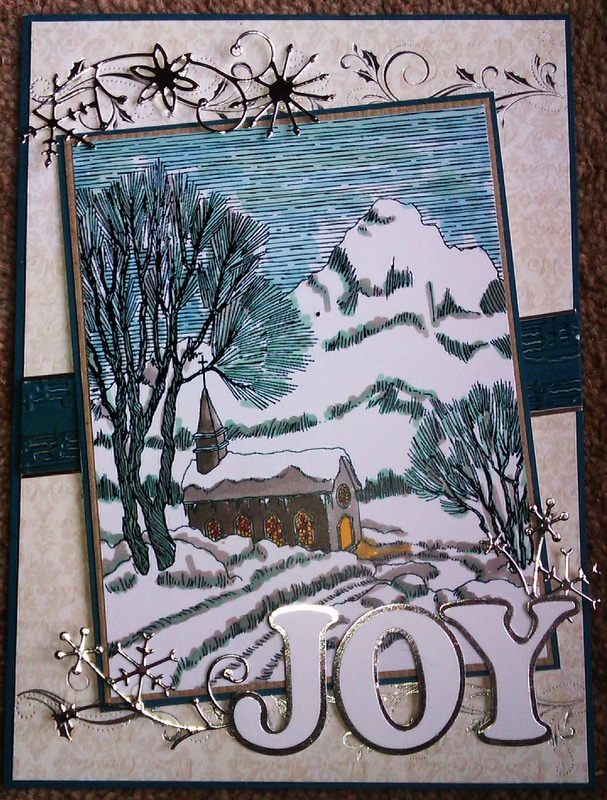 This card is made using a Lili of the Valley stamp and a snowflake die from Memory Box. The Happy Christmas die was free with a magazine. 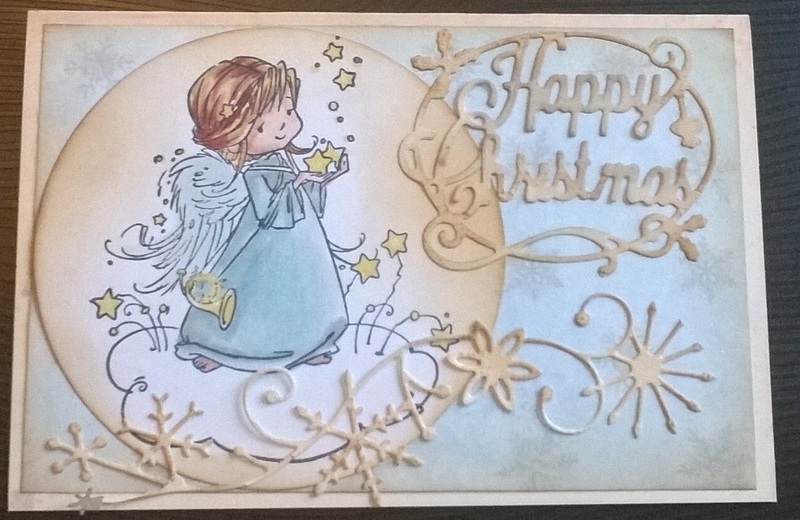 All the elements which make up the card have been aged using Vintgae Photo distressink.